Welcome to the Invest in ME Newsletter for December 2007. It is near to the end of one of the busiest years ever for people with ME with the ups and downs of progress and setbacks occurring during the last twelve months. In this newsletter we shall just concentrate on looking ahead and stay focused on the end result. Invest in ME have news of our annual International ME/CFS Conference for 2008 - the third in the series of biomedical research conferences which IiME have organised. our theme for the conference is Sub Grouping and Treatments of ME/CFS. We can also hope that ME Awareness Month 2008 is filled with activities around the world which will help progress the cause of people with ME. Invest in ME have tried to remain pro-active with our campaigning and have written to the Secretary of State for Health and his appointed minister who is tasked with looking into the issue of ME. We have not had a positive response and it has been disappointing to see again the standard approach being taken by the Department of Health - one of apathy and misinformation. IiME will be taking this up again however. Many thanks from all at IiME to our supporters for your donations during the year, for your emails and letters of support and for all of the work that many do on behalf of people with ME and their families - all of it unpaid and occurring in the background. The 3rd Invest in ME International ME/CFS Conference 2008 will be held on 23rd May 2008. The conference builds on the successful biomedical research conferences held by Invest in ME in previous years. The 2008 conference will have as its theme Sub Grouping and Treatments for ME/CFS and we have a wealth of experience from some of the most renowned experts on this illness in the world. As in previous years Invest in ME aim to raise awareness of myalgic encephalomyelitis and of the necessity for a comprehensive, national strategy of biomedical research into ME/CFS. The conference will inform delegates of the current situation regarding definition, diagnosis and treatment of ME/CFS by the most renowned experts on ME/CFS in the world. Although the agenda is still being finalised we have great pleasure in confirming the following experts on ME/CFS who will be presenting at the conference. Dr Jason is among the most prolific of all ME/CFS researchers. For more than a decade, Dr. Jason and his team at DePaul University’s Centre for Community Research in Chicago have worked to define the scope and impact of ME/CFS worldwide. Dr Lerner is an Infectious Disease Specialist in Michigan, USA. Dr Lerner holds five Patents for Diagnosis and Treatment of CFS. 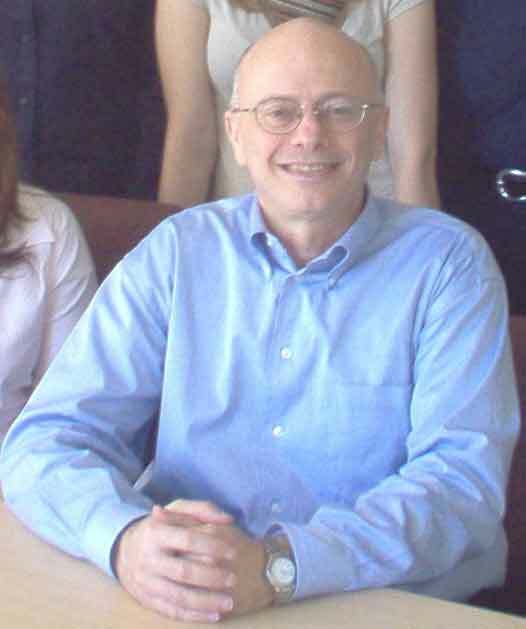 Dr Lerner also heads the Lerner CFS Foundation which hopes to establish a molecular biology laboratory to develop specific diagnostic testing for subsets of ME/CFS and a training centre dedicated to the training of medical professionals in the treatment of those suffering from ME/CFS. Dr Kerr has recently published results from his research over the last year which includes identification of 7 sub groups of ME/CFS patients. Dr Kerr has been involved in all of the IiME conferences and we are glad to welcome him back at this crucial stage in biomedical research of ME/CFS. The theme of our conference will complement Dr. Kerr's research very well. Dr Newton is Senior Lecturer at the Institute of Cellular Medicine, Newcastle University. Dr Newton has been working on autonomic dysfunction in ME/CFS patients and will be presenting results of her continuing research. Dr Spurr is a GP and brings enormous experience of ME/CFS to the conference. Dr Spurr worked with Dr John Richardson on enteroviruses and their implication in ME and is chairman of the John Richardson Group. At the last IiME International ME/CFS conference we had Annette Whittemore and Dr Daniel Peterson presenting news and research information from the Whittemore-Peterson Institute in Nevada, USA. IiME are proud to have brought news of this exciting development to the UK audience and we shall continue our links with the WPI by hearing news of their continuing research and plans. Dr. Mikovits obtained her Ph.D. in Biochemistry and Molecular Biology from George Washington University. She is Research Director at the WPI and has co-authored over 40 peer reviewed publications that address fundamental issues of viral pathogenesis, hematopoiesis and cytokine biology. We are also honoured that Professor Malcolm Hooper will be chairing the conference proceedings. The conference will appeal to healthcare professionals, doctors, nurses, paediatricians, occupational therapists, researchers, ME support groups, people with ME and those working in social services, educational support and the media. Invest in ME conferences have covered epidemiology, aetiology, pathology, diagnosis, treatment and current/future biomedical research into ME/CFS. This is an ideal opportunity for staff working in PCTs and hospitals and ME/CFS service provision to work together with patients and patient organisations to understand the issues around ME/CFS. We would like to ask all ME Support Groups and families to approach their local physicians and help us help them to understand more about ME/CFS by attending the conference. We have a special discounted rate for healthcare staff via our Sponsor a GP scheme. Previous Invest in ME International ME/CFS conferences have been CPD-accredited and accreditation will be applied for. The full day agenda will be finalised shortly. More details of the conference will be available on our conference web pages via this link. We would like to thank Helen Garnett for setting up a Face book entry for ME. Helen has created a group on Facebook called Surviving M.E.. One needs a Facebook account (which is free) to see these and, as Helen points out 'the Facebook group is a very popular way of making contact, particularly for the younger generation, and could be quite a life line for some M.E. sufferers.'. This is a great idea from Helen and we urge all the Face users out there to make contact with Helen's Face entry. We had actually started a Facebook entry last summer but did not have time to progress it. However, we have now augmented Helen's idea with an Invest in ME Face book entry and we hope that together these will attract more people to look at what is happening with ME/CFS in this country and support the cause to get justice for the patients and families who are having to suffer from this illness due to lack of a proper strategy for biomedical research into ME/CFS. Next May will be ME Awareness Month and Invest in ME have emailed a number of organisations around the world to join forces and cooperate in raising awareness of ME/CFS. IiME have set up a new, universal web domain - www.meawarenessmonth.org - which we hope will be a central point of contact for all events taking place to raise awareness of ME/CFS and fund-raise/campaign for biomedical research into ME/CFS. Still in its early stages of development this address will be non-organisation-specific and will be developed over time. Invest in ME submitted our appraisal of the official NICE guidelines for ME/CFS and warned of possible actions to take NICE before a judicial review. We have heard of a few possible actions being taken in this area which are underway - one of them being the One-Click group's plans (more details here). There are other actions in the process of being developed and we shall report on these when these are nearer completion. This unsatisfactory state is a reflection on the poor quality of the NICE guidelines and one can only feel a sense of disappointment that NICE have again failed people they should be making provision for. IiME wish to congratulate our Scandinavian colleagues on their work to raise ME awareness in their countries. In Sweden the RME group have organised seminars in Stockholm and Malmo with Professor Malcolm Hooper and the Whittemore-Peterson Institute presenting. Links to their presentations are here (the page is in Swedish but the associated pdf documents should be in English). Our Norwegian colleagues have successfully organised the recent International Association for CFS/ME (IACFS) conference in Oslo in October. We hope to translate the Norwegian ME Association's report of the conference shortly. Although a bit later than we wished we would like to highlight this project whose aim is to contact as many MPs as possible regarding ME/CFS. Similar to some of the objectives with IiME's ME & My MP campaign this ME Letter Project is available here. The main goal of the ME Letter Project is to highlight the need for research into the physical causes of ME and to discover the aetiology of ME and to one day find a treatment. Every sufferer, carer and family member of someone with ME is asked to print a copy of this letter and send it to the Government and the media. The ME & My MP campaign is going to be revamped and will hopefully work alongside the ME Letter project. Good luck to all involved in this. We'd like to thank Dr. John Greensmith for his continuing (and successful) efforts in gaining publicity for ME of the right sort within the media by picking up on misinformation and responding quickly and eloquently to counter this. It is worth repeating that education about ME needs to be provided at every opportunity in order to remove established myths and old-fashioned perceptions about the illness. John's contact for any stories appearing in the press is info(at)mefreeforall.org. We would also like to highlight the ME Association's Tissue Bank project which aims to retain tissues for later analysis for ME/CFS research. IiME are hoping, where possible and when funds exist, to contribute to the Tissue Bank project. This was one of our objectives with the last International ME/CFS Conference in May and feel it will be an important step forward and a building block for future research. Just a reminder that we recently published the second issue of the Journal of IiME. Thanks to everyone for all of the positive comments returned regarding the Journal. A last chance to add your name to the ME petition submitted by Konstanze Allsopp to get the Health Service and medical profession to accept the WHO classification of ME/CFS as an organic neurological disorder and not as a psychosocial syndrome. The link is here. We add here our ways of helping ME at Christmas. Please look at our winter page for ways to help fundraise - click here. 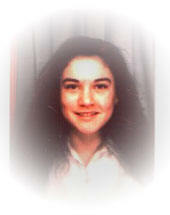 At this time of year IiME would like to extend our sympathies to Criona Wilson, mother of Sophia Mirza. It is now two years since Sophia died. Criona has been battling the establishment in an attempt to get explanations for Sophia's treatment. In October news came that Criona had lost her case which she had taken before the GMC. There is no right of appeal.